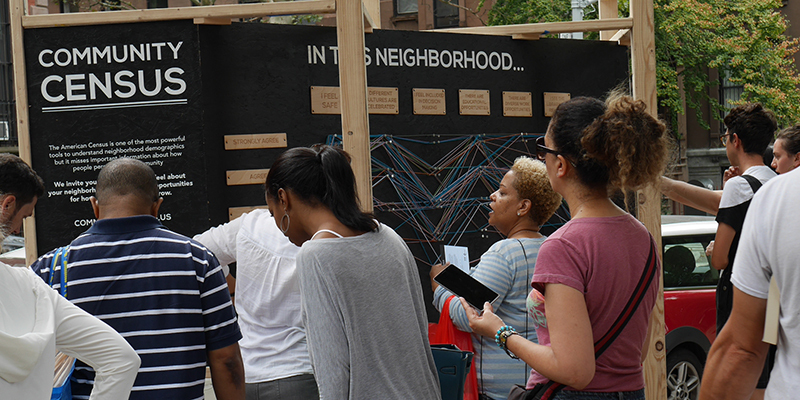 In September 2015, TYTHEdesign and 3×3 Design partnered with the Brooklyn Public Library to bring the Community Census Installation to Fort Greene Park in Fort Greene, Brooklyn. 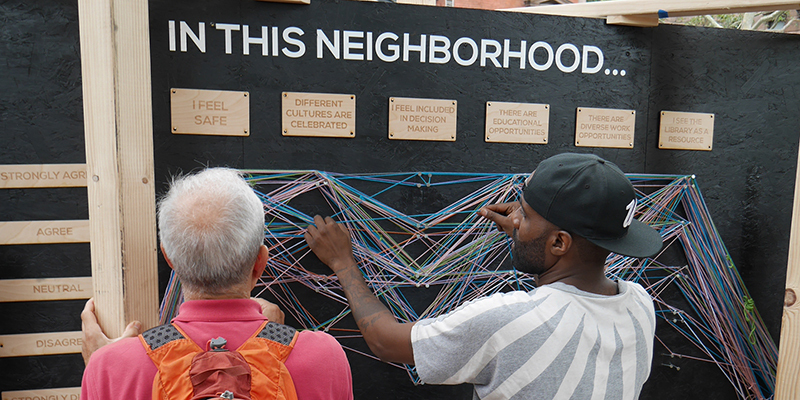 The installation was launched at the corner of DeKalb Ave and Washington Park during the weekly Greenmarket. Throughout the day, our team spoke with 132 individuals across across all economic, age, race, and gender brackets. 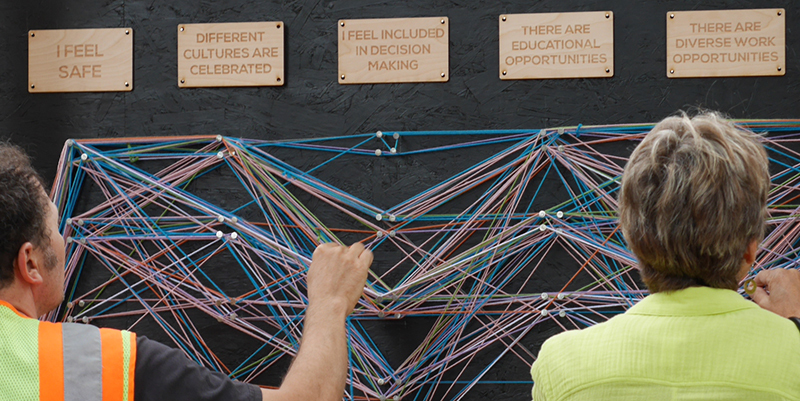 Participants discussed their desire for more work opportunities and improving access to education. 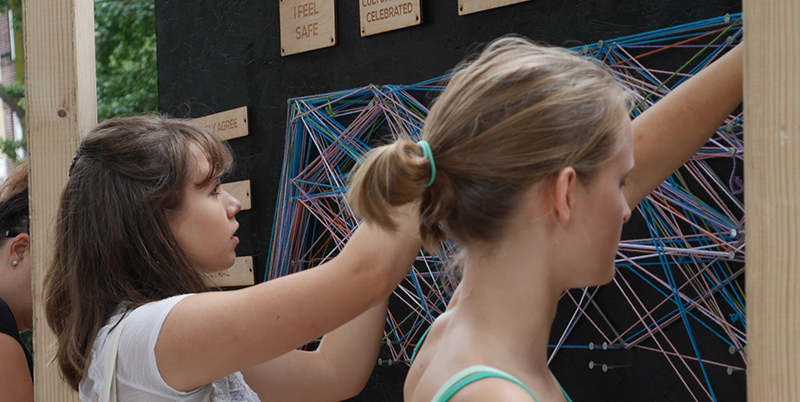 The installation helped activate an underutilized area near the park to get residents talking with BPL staff and to learn more about what the library offers its residents.